Arrive Delhi upon arrival you will be met by our representative and transferred to hotel where we will be holding the rooms on ready occupancy basis. Overnight at hotel. Breakfast at the hotel and take a city tour of New Delhi covering Laxmi Narayan Temple - The Place of Gods, India Gate - The memorial of martyrs, Parliament House - The Government headquarters, Afternoon is to enjoy city tour of Old Delhi covering Jama Masjid - The largest mosque in Asia, Red Fort - The red stone magic, Gandhi Memorial - The memoir of father of the Nation. 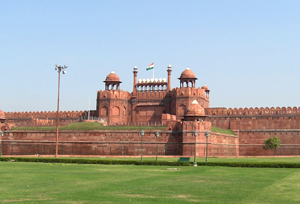 Also enjoy sound & light show at Red fort. Overnight at hotel. Breakfast at the hotel and transfer to airport to connect flight for Varanasi. Upon arrival at Varanasi meeting and assistance followed by transfer to hotel. Evening take an excursion to Buddhist town of Sarnath - The hallowed spot where Lord Buddha preached his first sermon after enlightenment. Overnight at hotel. Morning boat cruise at the river Ganges to observe the way of life of pilgrims by the Ghats. Breakfast at the hotel and proceed to visit Temples & Ashrams. Afternoon transfer to airport to connect flight for Khajuraho. Upon arrival at Khajuraho meeting and assistance followed by transfer to hotel. Breakfast at the hotel and proceed for city tour covering Western / Eastern group of Temples - The Temples at Khajuraho are a unique gift to the world. Later drive Gwalior, enroute visit Orchha - Medieval legacy in stone. Get off to visit Jehangir Mahal - The strong lined Palace counter balanced by delicate chhatris and trellis work , Raj Mahal - The plain exteriors give way to interiors with exquisite murals Ram Raja Temple - one of the most exquisite in India, Chaturbhuj Temple - Built upon a massive stone platform, later in the day drive to Gwalior. On arrival check in at hotel. Overnight stay at hotel. Breakfast at the hotel and visit the magnificent Gwalior Fort - This Fort complex houses a marvellous Palace, Man Mandir Palace, Sas Bahu Ka Mandir, Suraj Kund etc, the tombs of Tansen and Ghias Mohammed, the Museum in Jai Vilas Palace - Better known as the Jivaji Rao Scindia Museum which is the main attraction of the gigantic Palace and the newly built Sun temple - Located on the outskirts and dedicated to Sun God. Later drive to Shivpuri. On arrival at Shivpuri check-in at hotel. Overnight stay at the hotel. After breakfast day begins with a visit to elegant chhatris or cenotaphs of Shivpuri. You also visit Bhadaiya Kund, a scenic spot noted for its natural mineral spring. Afternoon free for Rest, there is a refreshing visit to Madhav National Park (the sanctuary is like a dream come true for wildlife patrons). Overnight stay at hotel. You leave after breakfast for Ujjain. On arrival check in into hotel. Overnight stay at hotel. After breakfast enjoy sightseeing trip of renowned pilgrim centre. Visit Mahakaleshwar Temple - The temple enshrines one of the 12 Jyotirlingas, Bade Ganeshji Ka Mandir - The largest ornate statue of Ganesha makes this temple a popular picnic spot, Kaliadeh Palace - The sacred river Shipra runs through this city of temples. Overnight at hotel. After breakfast drive to Mandu, en route visit Indore where you visit the unusual Kanch Mandir - This Jain temple is very plain from outside but inside is completely mirrored with pictures of sinners being tortured in the afterlife, and the Museum - It has one of the best collections of medieval and pre-medieval Hindu Sculpture in Madhya Pradesh. Later continue drive to Mandu. On arrival at Mandu check - in at hotel. Overnight stay at hotel. Mandu, The city of Joy, is full of legends of love and glory, especially those of Baz Bahadur and the beautiful Rani Roopmati. 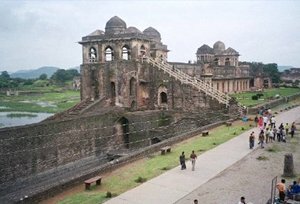 In Mandu, you visit several noteworthy palaces and pavilions some of which are Ashrafi Mahal - The Palace of gold coins & was conceived as an academic institution, Rewa Kund Group - it includes Rewa Kund, and the Hindola Mahal (swinging Palace). Overnight stay at hotel. After breakfast you leave for Bhopal. On arrival at Bhopal check-in at hotel. Evening free for self activities. Overnight stay at hotel. After breakfast you leave for Sanchi - The ancient seat of Buddhist learning. The places worth visiting are Archeological Museum - The most interesting pieces are the lion capital from the Ashoka pillar, a yakshi hanging from a mango tree and a beautiful Buddha figure in red sandstone. Great Stupa - This is the finest work of art at Sanchi and amongst the finest examples of Buddhist art in India. 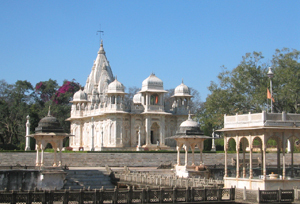 You return to Bhopal and spend time in this fascinating city. Visit Taj-ul-Masjid - It is one of the largest mosques in India. Laxmi Narayan Temple & Birla Museum. Overnight stay at hotel. After breakfast leave for Pachmarhi. En route you visit Bhimbetka where paintings in over 500 caves depict the life of the pre-historic dwellers in vivid, panoramic detail. On arrival at Pachmarhi check-in at hotel. Overnight stay at the hotel. 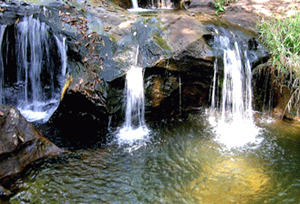 Pachmarhi is surrounded by beautiful forests, full of breathtaking waterfalls, serene pools and quiet glades. After a day's sightseeing you behold the sunset at Dhupgarh, the highest point in the Satpuras. Overnight stay at hotel. After breakfast, you leave for Jabalpur. On arrival at Jabalpur check-in at hotel. Overnight stay at hotel. Breakfast at the hotel and transfer to railway station to connect train for Mumbai. Upon arrival at Mumbai meeting and assistance followed by transfer international airport to connect flight for onward destination.